The year 2018 is passing by so fast. Can you believe that we have only five months left until 2019? When it comes to K-pop, a lot can happen in a matter of a few months, but so far we’ve already been taking notes on the music styles that have been trending in charts and album releases. While some styles are always present, like electronic dance music (Sunmi’s “Heroine”) and R&B (Red Velvet’s “Bad Boy”), and some trend styles of 2016 and 2017 are still popular, like tropical house ((G)I-dle’s “Latata,” CROSS GENE’s “Touch It,” etc. ), we chose three less frequently heard musical styles that have been present in a lot of comebacks and B-sides so far this year. When 2017 ended with the tragic news about SHINee’s Jonghyun, I thought the K-pop industry would have a hard time hyping fans up again. But when Momoland released the catchy and comic “Bboom Bboom” a few weeks later, I was smiling again. This was exactly the kind of fun we needed! The song was produced by Shinsadong Tiger, the same producer behind some of T-ara’s most legendary hits, like “Roly-Poly” and “Lovey-Dovey,” and so “Bboom Bboom” immediately gathered comparisons with T-ara and their disco-themed hits. But, whether people were mad or glad about the similarities, the fact is that “Bboom Bboom” led Momoland to huge success. The group then repeated the formula and released “Baam,” also produced by Shinsadong Tiger. In late May, girl group AOA had its first comeback without former lead vocalist ChoA, releasing their Bingle Bangle EP full of fun and upbeat songs. One of those songs was “Ladi Dadi,” an electropop summer jam that recalls the same vibes of the catchiest hits of K-pop circa 2010-2012. Is 2018 making people nostalgic about the old days of K-pop? All we can say is we’re having so much fun with these retro sounds! In late January, iKon scored a perfect All-Kill on Korean charts with their hit “Love Scenario,” a mid-tempo hip-hop song with a minimalist production and a bright piano accompaniment. Just a few months later in April, it was Pentagon’s time to show they could “shine” with the same musical approach, releasing the catchy and cute “Shine.” And even if it wasn’t a title track, let’s not forget “Kangaroo,” a great b-side from Wanna One’s first special album, 1÷x=1 (Undivided). “Kangaroo” is a fun hip-hop song produced by Block B’s Zico, with light beats and a mid-tempo cadency sweetly accompanied by piano chords. Those 3 boy groups killed this style and gave us some of the best songs of 2018 so far! In the last months of the year 2017, we could hear a few K-pop songs with influences of Caribbean and Latin music, such as SF9’s “O’ Sole Mio” and AOA’s Jimin “Hallelujah.” Little did we know that it would continue in 2018! In April, Super Junior caught the world by surprise when they released an iconic collaboration with Dominican-American singer Leslie Grace, the sensual “Lo Siento.” Later in May, it was BTS fans’ time to get delighted when they heard a flavour of salsa music on the group’s third full studio album Love Yourself: Tear with the irresistible “Airplane pt. 2.” The song was promoted on music shows and became an instant fan favorite due to the mention of cities and countries around the world, a reference to mariachis as a metaphor for the septet’s life on the road, and, of course, the Latin feels. More recently in mid-July, girl group MAMAMOO also continued their path of exploring different music genres in 2018 by releasing “Egotistic,” an elegant song full of Spanish guitars. I think it’s safe to say Latinx and Caribbean fans are happy for seeing their culture being represented like this! What’s your favorite sound of K-pop so far in 2018? Let us know in the comment section below and be sure to subscribe to the site and follow us on Facebook, Twitter, Instagram, and Tumblr to keep up with all of our posts. It’s been 10 years since SHINee debuted, a top-notch and versatile boy group that soon became one of Korea’s biggest pop acts of the late 2000s and 2010s. Flash forward to 2018, where SHINee returns in the wake of the loss of the group’s fifth member, 27-year-old Kim Jonghyun. Jonghyun took his own life in December 2017, leaving behind remnants of his profound struggle with depression in a letter posted on social media. But SHINee’s comeback music video titled “Good Evening” and album The Story of Light EP.1 reprise yet another seamless and moving presentation. It’s not an album nor a music video that wallows in the pain of what came before; it’s instead an everlasting memorial. In fact, one of the most breathtaking aspects of all is that SHINee returns with not simply four members but five, standing strong in light of Jonghyun’s passing as well as remembering him as he was. The first six seconds of the music video are brief. In fact, if you simply watch with a devil-may-care attitude, you could miss it. However, you can see it, a vacant chair positioned with purpose for a member who is not eternally gone but always will be. It’s a brief moment but nonetheless it hurts. Because it’s a clear and beautiful sentiment; it’s a chair seemingly left for Jonghyun. Yes, it’s painful. But it’s a metaphysical message, saying that Jonghyun isn’t actually gone; his essence is still there. Regarding aesthetics, Key returns with a white bandana as he flits from blonde hair to pink. Taemin greets us with plush pink lips, a Gucci T-Shirt and deep maroon hair. Onew sports tangerine orange hair, while Minho walks with class in pinstriped decor. Their comeback music video for “데리러가” (Good Evening) places them in a kaleidoscope of color paired with an ambiance of flickering TV screens and old time movie projections. The four of them pose and prance like kings as video cameras surround them to capture their glory. The choreography and vocals work together to create a succinct and tranquil atmosphere, a space that is also simultaneously filled with tension and wonder. And as they move, the miniature TV screens mimic in an unsteady haze. The visuals feel intricately complicated but not in an intrusive way; it’s mesmerizing to watch. In fact, the barrage of colors and light help create a remarkable world built and solely composed by the kings themselves. And what the viewer witnesses isn’t solely based on sadness. There are scenes of laughter and playful banter, as the group members run under rays of sunshine, sequences that feel genuine and strong. Pair this with moments of desperation, where the members can be seen frantically moving under water, attempting to reach the lover in question. This sense of urgency proves an inspiration for fighting against all odds to reach the one you love. The song itself is a pulsating beat intertwined with glossy vocals reminiscent of a dream. Vocally, it’s an instant and unmistakable throwback to ‘90s R&B, mixed with a compilation of new age sound. Because frankly, this is the era in which SHINee has always excelled. Think back to the fifth album, 1 of 1, or Odd, the fourth album. Both created an atmosphere filled with intricate beats not quite familiar with today’s diluted and exhausted compositions. And with this album — The Story of Light EP.1 — they’ve done so yet again. Because SHINee’s songs take us there, to fantastical worlds beyond our comprehension, making the music they create eternally stick with you. It should be noted that the song and overall melody are clearly inspired and arguably sampled from the 1997 hit — “Cupid” — written and performed by contemporary American R&B group, 112. The sampling and SHINee’s retelling or reinterpretation work well together, inciting nostalgia while also taking us toward a brighter future. I can feel we’re looking at each other through this door. Let’s see … your eyes, nose, lips, cheek. Before it’s too late, I’ll come pick you up. This strong affirmation could be interpreted as a message for Jonghyun or an unreachable lover, and says that no matter what obstacles arise and no matter how far the distance, nothing will keep them from reaching the one they love. And even though it’s a race against time as the 달빛 or “moonlight” approaches, their passion for the lover in question or the brother they will always love, is of cosmic proportions and cannot be broken. What’s even more miraculous, is if you listen closely it’s almost as if you can hear Jonghyun’s voice riddled throughout both the album and the music video, a faint distant memory begging to be remembered. And to be honest, this is a song that forces one to confront his or her demons or whatever emotional pain that lingers in waiting. The song operates as a necessary catharsis for allowing emotional bandwidth to take hold, even if just for a moment in time. Transition to the group’s sixth album The Story of Light EP.1, a six-track EP that’s filled with both an embolden SHINee as well as songs reminiscent of the group’s past releases. While “Good Evening” serves as a dreamy pop ballad, “All Day All Night” and “Undercover” both serve as a cross between hip-hop and electro pop. “JUMP” takes us back to the sound of SHINee’s 1 of 1, where suddenly we’re taken back a few decades to ‘90s pop. The EP concludes with “You and Me,” an uplifting track that talks about memories past that features lyrics written by Key. It’s also a song that talks about the difficulties of moving on even when the pain one feels inside is completely unbearable. The love that is felt for the person in question is genuine and unbinding in spite of how much the pain consumes one’s psychosis. The Story of Light EP.1 poses as a strong resolution and signifies the next chapter of the SHINee’s journey. Because SHINee’s back, not just with four members, but five. What do you think of this SHINee album? Share your thoughts in the comment section below and be sure to subscribe to the site and follow us on Facebook, Twitter, Instagram, and Tumblr to keep up with all of our posts. Longtime fans of K-pop girl groups have, in recent years, lamented the absence of fierce, powerful girl groups. As the onslaught of cute and innocent concepts among newer groups like TWICE, GFRIEND, WJSN, and more continues, girl groups with stronger concepts have become a fading minority in the K-pop world. But not if (G)I-DLE can help it. On May 2, the six-member girl group debuted with house-pop track “LATATA,” employing fierce dance-pop instrumentals, extensive rap verses, and onstage pyrotechnics in tow. Formed by Cube Entertainment, the girl group’s name effectively translates to Girl Children from Korean to English, among a host of other complicated double entendres. Despite the group’s strangely infantilizing name, “LATATA” is about a steamy dance-floor encounter, beginning with a fast percussive bang followed by a bouncy tropical house beat that underlies the verses. Main rapper Jeon Soyeon, riding her Produce 101 and Unpretty Rapstar fame to the frontwoman position of the group, begins the song atop this rhythm, soon passing the verse to the group’s main dancer Soojin, who asks “What’s there to be scared about?” as she engages with her lover. The chorus is followed by a dance break carried by a repeating synth line that resembles an electric guitar riff. When the group performs this live on weekly music shows, the choreography is tight, the members sporting strong, sensual facial expressions as they quickly shift formations. Contrasting with other girl groups’ shyness around lovers, Soyeon encourages the one-night stand in her post-chorus rap break. As the tempo quickens, she spits, “Don’t be lazy, come to me baby,” asking her mysterious hookup to “go in deeper, swallow me up.” Her confidence is both audible on the track and visible in performances—a demonstration of the prowess she’s developed over the course of two survival shows and a solo debut since her first TV appearances in early 2016. While “LATATA” itself doesn’t deviate too much from the typical K-pop song structure of verses, pre-choruses, and choruses followed by dance and rap breaks, it is a welcome change in sound from current chart-topping girl groups with more demure concepts. Rather than attempting to emulate the success of cutesy girl groups like TWICE or Oh My Girl, (G)I-DLE seeks to revive the sounds and stylings of older girl groups like those of past Cube labelmate 4MINUTE, and widen the fierce girl group niche that is rapidly decreasing in size. And as “LATATA” enters the Top 30 of Korean music charts and tops iTunes K-pop charts around the world, it is becoming clear that the absence of powerful girl groups has been felt by K-pop fans old and new alike. Of course, (G)I-DLE’s debut immediately calls into question the future of labelmate girl group CLC, whose songs have repeatedly failed to chart for three years now (likely due to the group’s constant flip-flopping between innocent and strong concepts across different releases). It also brings up the possibility of a rivalry between (G)I-DLE and BLACKPINK—one of K-pop’s only other powerful girl groups of the moment. Whatever the answers to these questions are, one verdict is clear: (G)I-DLE is, in its infancy, reigniting the age-old tug-of-war of girl group concepts, an industry-wide debate whose point of equilibrium is finally beginning to shift. In the oversaturated girl group market, such a noticeable effect on the bigger K-pop narrative is more than enough to deem this debut a success. 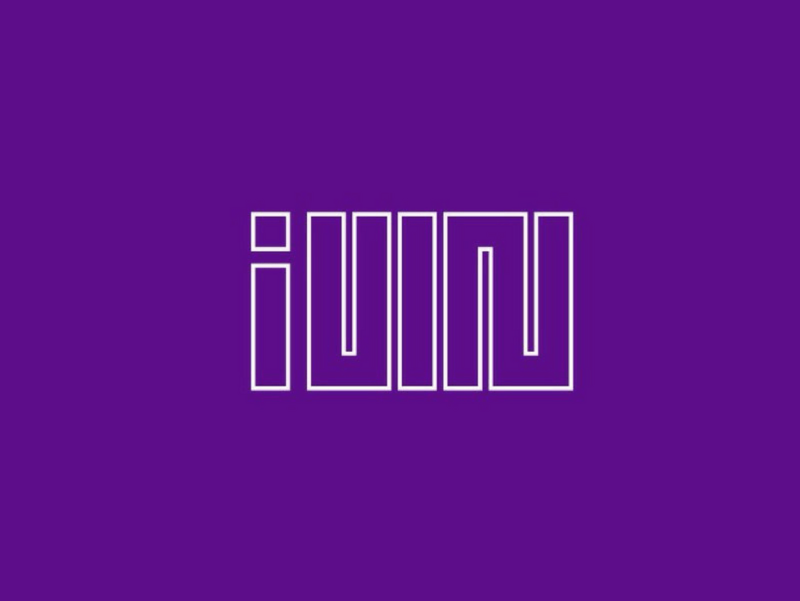 What do you think of (G)I-DLE’s debut track? Share your thoughts in the comment section below and be sure to subscribe to the site and follow us on Facebook, Twitter, Instagram, and Tumblr to keep up with all of our posts. F(x) has always been one of the most distinctive groups in K-pop, experimenting with sounds and elements not often seen until their debut, in 2009. Taiwanese-american artist Amber Liu seemed a good fit for this group that was born to be different – from haircut to clothes, the group’s rapper had her own cool style that differed from what female idols used to look like, and apparently SM Entertainment, the group’s agency, respected that. But was it enough? Was Amber happy? How would Amber sound if she could make art in her own terms? With the release of Rogue Rouge on April 15, we have some answers. One could say Amber has had multiple opportunities to do something different than what she does in f(x), and that’s true. But one can also say that, as an artist, she still has more to show and has the right to seek for creative freedom, and that’s true too. That being said, Rogue Rouge may not have come as a total surprise for those who paid attention to Amber out of f(x); however, the mixtape can still shine new lights on what we know about her life and career. Releasing a mixtape nowadays might have some sort of a charm, like a countercultural alternative to the polished and well planned release of albums and EPs. It’s also a popular way for a group’s member to show their individual colours, like what happened with the solo mixtapes released by BTS members Rap Monster, Suga, and more recently, J-Hope. There is no confirmation that Amber is still under SM Entertainment. Therefore, the very fact that Amber is able to do this mixtape suggests that her contract with them allows the space for a bit of artistic freedom. But, if the mixtape is available for free download, it could also mean that Amber isn’t allowed to make money out of her agency. If you’re waiting to hear anything near K-pop or f(x)’s past music on the mixtape, just know that you won’t find it here. Sonically speaking, Rogue Rouge is quite an homogeneous piece of work, sticking to R&B tunes (“Get Over It,” “Closed Doors,” “Right Now”) and pop (“Three Million Years”), with little presence of EDM elements (“High Hopes,” “Lifeline”). The production is far from the grandiose that K-pop instrumentals sound like.ut whether it’s due to being independent work or just Amber’s personal choice, it doesn’t really matter. The simplicity works perfectly fine here. Amber’s beautiful voice and interpretation are the big stars of every single track. Even the simpler songs sound so meaningful because it’s obvious that she’s putting a lot of love into them. It is possible that her choice to go for smoother jams could be saying something about how she feels towards the effusive, loud music she has been doing as an idol. But, just like any artist who has to deal with limited creative freedom (or no freedom at all) when they’re under a group, maybe she just wanted to do something for herself. Amber wrote all the 6 tracks, with the help from Gen Neo in two of them. They’re all in English, her native language, and most of them about heartbreak. Yes, it seems like someone broke Amber’s heart – and while such person deserves to be punched (! ), seeing such a stripped and honest side of Amber’s lyricism is a delight. It’s a not a side often seen from K-pop idols: they have to act, speak, sing in a certain way. No matter how bold is the concept, they can only go so far – and even if it’s very far, it’s only to cause an impression. But in Rogue Rouge there’s just an adult woman being an adult woman, and it includes occasional cursing, heartbreaks, desire, the dilemmas of public versus private life etc. From the emblematic instance when Amber spoke on social media about being neglected as an artist to how independently Rogue Rouge was done, it seems that Amber’s main wish is to just sing a story that’s all hers, rather than to prove anything to anyone. Rogue Rouge has no climax or wow moments. It sounds genuine, though. The lyrics for “Closed Doors,” the best track, sums up the whole purpose of Amber with this mixtape: no overthinking or reinventing the wheel; no need to run, hide or “keep on choosing sides.” This is just Amber being Amber and doing what she feels like doing. If that really is her purpose, then, indeed, she wouldn’t need sumptuous instrumentals and complex songs to do that. In Brazil, we have a saying for when we’re gifting someone we care about yet we can’t afford something expensive: “It’s simple, but it’s from the heart.” That seems to be the case here: simple (compared to K-pop) but meaningful music. Again, I don’t know if money has anything to do with the crude sonority of Rogue Rouge, but I don’t even care, and it seems like Amber doesn’t care either. She’s pouring her heart out, and for a project that aims for expressing individuality rather than charting, that’s more than enough. 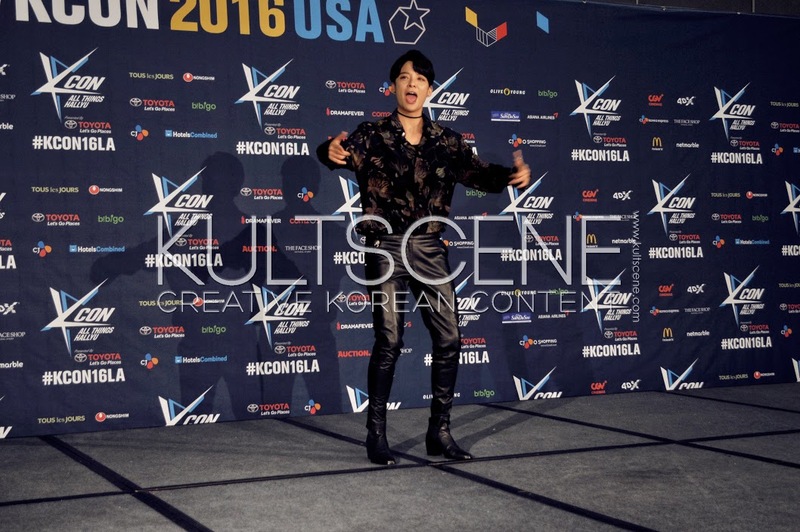 Let us know what you think of Amber Liu’s “Rogue Rouge” in the comment section below and be sure to subscribe to the site and follow us on Facebook, Twitter, Instagram, and Tumblr to keep up with all of our posts. Slightly over a year since the airing of the first episode of the boy group survival show Produce 101 Season 2, the next installment of the show, Produce 48 has been attracting buzz with the revelation of the A-list trainers involved, such as FT. Island’s Lee Hongki and former Sistar member Soyou. The continuity of this Produce series can be attributed to the roaring successes of its first two seasons, and of the groups formed following the show (I.O.I and Wanna One). In fact, one year after the program, the K-pop industry is currently dominated by several idols who participated in it. Temporary and project groups have been formed, soloists have debuted, and existing groups were revived due to the popularity of the program, proving the great impact the show has had on the industry. As the victors of the program, this group naturally had a lot of popularity right off the bat. With their debut song “Energetic” winning 15 music shows and topping both local and international charts, the members gained even more fans through their appearances on several variety shows such as Weekly Idol and Knowing Brothers. Their consistent album releases and music promotions helped sustain this popularity, and their most recent title track “Boomerang,” from the album 0+1=1 (I Promise You) also did wonderfully, netting 10 wins. Since their debut, the members have ranked highly on brand value rankings among idols, with center Kang Daniel consistently in the top ranks due to his numerous appearances in shows like It’s Dangerous Beyond The Blanket and Master Key. Even though the group is due to disband in December 2018, there will be more great music releases from them to come, both as a group and as individual members, and they definitely have bright futures ahead of them. Quite possibly the most touching success story from this second season of Produce 101, the five-membered group Nu’est experienced a surge of popularity following the appearance of JR, Ren, Baekho, and Minhyun on the program. With Minhyun in Wanna One, the remaining four members (together with Aron, who wasn’t on the show) formed a subunit called Nu’est W, and attained commercial success with their title track “Where You At” off the album W, Here, which earned them their first music show win since their debut. The experienced members shined throughout the program, with all four members making it to the top 20, and their eventual success proves that effort, coupled with talent, always pays off in the end. As their name “Just Be Joyful” suggests, the members of this group had every reason to be joyful because they were formed wholly out of fan demand. Consisting of members Noh Taehyun, Takada Kenta, Kim Yongguk, Kwon Hyunbin, Kim Donghan, and Kim Sanggyun, the group melded together well, releasing a string of consistently good music with their three mini albums. Another group with a timeline, JBJ recently released their final album New Moon, with the title track “Call Your Name” as a sweet farewell to their fans, full of promises to meet again in the future. With member Noh Taehyun returning to his group Hotshot after the disbandment of JBJ, I hope that the members, who all have so much potential as musicians, will be active in the music industry again soon. A project unit formed with the two high-ranking trainees of Brand New Music, MXM consists of Lim Young-min and Kim Donghyun. The duo has released two EPs and one single album thus far, with their most recent title track being “Gone Cold,” which was released in early March. While both members have their own strengths, with Young-min focusing on rapping while Donghyun has a sweet singing voice, they work together very well to create music which reflect their distinct musical identity as a duo. While still a rookie group, they are already gaining a lot of performance experience through the Asia promotional tour they are embarking on, as well as through their participation in huge events such as Korea’s annual dream concert. There is also a high possibility that they will form a new group in the future, once Lee Daehwi and Park Woojin (their labelmates) are done with their Wanna One activities, which will be a group to look forward to given the amazing teamwork they displayed back in their Produce 101 audition. Another project group, YDPP is a four-membered group consisting of MXM, Jung Sewoon, and Lee Gwanghyun. As fellow members of Produce 101 Season 2, their comfortable chemistry showed through the fun “Love It Live It” release, which captured the musical colours of youth, dreams, passion, and purity that inspired the formation of the group. Lee Gwanghyun also made his debut through this project, and successfully showed his adorable charms along his members. Im Youngmin also showed a more all-rounded side of himself here because he got to sing and rap. The members complemented each other very well, and while this group is only temporary (like so many others on this list), the magic of this collaboration will last forever. An adorable duo formed by the Korean trainees from Yuehua Entertainment, Hyungseop and Euiwoong have released two single albums so far, their most recent title track being “Love Tint,” which was released in April. While their debut track “It Will Be Good” was sweet and highlighted their youthfulness, “Love Tint” has a more melancholic and mature sound which allowed them to better showcase their rap and vocal skills, proving how much they have developed as musicians in the short few months between the releases. The rest of their second album Colour of Dream is also a treat to listen to, as they show several sides of themselves through the five tracks on it. If they continue releasing songs this well-performed and produced, the future for this duo is limitless. The second fan-created group following JBJ, Rainz is a project group consisting of Kim Seongri, Ju Wontak, Lee Kiwon, Jang Daehyeon, Hong Eunki, Byun Hyunmin, and Seo Sunghyuk. While none of the members made it very far in the reality show (the highest ranked member was Sunghyuk at 31), they gained a lot of fans due to their individual skills, be it in gymnastics, taekwondo, dancing or vocals, which they managed to display on Produce 101 despite their lack of screen time. Since their debut in October, they have released two mini-albums, their latest being Shake You Up with title track “Turn It Up.” The electronic track highlights their impressive synchronised dance and fully shows their charisma, made even stronger when the boys are together in a group. While the future of the group is uncertain, they have been busy leaving their mark on the industry thus far and will hopefully do more soon. HNB is a boy group comprising of trainees from HF Entertainment, some of whom participated in Produce 101. As the group is undergoing an internal evaluation now, the exact number of members in the group is still indefinite. As a pre-debut release however, four members (three current, one past) of the group who were in Produce 101, namely Park Woodam, Jo Yonggeun, Jung Woncheol, and Woo Jinyoung released “I’m Your Light” to thank fans for voting for them. While the group is being finalized, Woo Jinyoung, Jo Yonggeun, Kim Hyunsoo, and Yoon Jaehee participated in another survival show, YG Entertainment’s Mixnine, in which Woo Jinyoung won first place in, hence making it into the final debut group for the show. The members have also been using V Live regularly to interact with their growing fanbase before their official debut. Although he missed the debut lineup by just one spot (he came in 12th place), Jeong Sewoon has made it as a successful soloist thus far, with the release of his first mini album which came in two parts, Ever followed by After. He also completed a milestone first solo concert, and has been performing on prestigious stages such as Mnet Asia Music Awards 2017 and the upcoming Seoul Jazz Festival. His latest title song “Baby It’s You,” released in January of 2018, is a catchy and upbeat track which shows his wide vocal range and versatility as a singer. Beyond developing as a musician, he has also been active on the variety scene, with his appearances on programs like Sugarman Season 2 and Dangerous Beyond The Blankets, which he recently became a permanent cast member for. One of the most prominent participants on Produce 101 from the start, his absence from the final debut lineup was shocking to many, but it also sparked a new beginning for Samuel, who debuted as a soloist one month after the conclusion of the program. While he is only 16, he has proven himself very capable of showing diverse charms, from the energetic “Sixteen” to the fiercer “One,” which he released in March. Beyond his charming outward appearance, he has an outstanding sense of rhythm which shows in his dancing, making him a wonderful performer. The best part —he’ll only get better as he continues growing. He first caught public attention back in 2010, when he went on Superstar K2. While he initially received a lot of hate and malicious comments, he triumphed through them and emerged stronger than before, earning him the respect of netizens as well as many of the other participants on Produce 101. With his enviable long locks, he became a very distinct personality and continued standing out throughout the show. After finishing in 27th place, he recently made his solo debut through mini album Peeps, with “Red” as his title song. Far from the Superstar K2 performance which he was criticised a lot for, Jang Moonbok has been improving his singing and rapping skills and remains an icon of persistence and growth. The chick trainee who captured many hearts during his run at Produce 101, especially with his many bromances and the continual growth he showed, finally made his solo debut with Spring, SEONHO in April. In line with his flower-boy and cute image, his title track “Maybe Spring” is a light-hearted ballad with a sweet melody. Just like a flower that is on the brink of blooming, Yoo Seonho has room for development, but his potential is already shining through from his mini-album, with tracks that diversify his music style by incorporating jazzy elements. He has also been busy with other activities such as CF filmings, music video appearances and a web-drama that he did with his fellow Produce 101 mate, Ahn Hyungseop. After ending in 19th place on Produce 101, Joo Haknyeon was added to a new boy group under his entertainment company, The BOYZ. The 12-membered boy group has released two EPs so far, and made a comeback recently with “Giddy Up” from their second EP The Start. “Giddy Up” is a playful song with a nostalgic music video concept that would appeal to viewers of all ages. As the lead dancer, vocalist, and rapper of the group, Joo Haknyeon stands out due to his extensive stage experience but also blends well with the team to create a cohesive performance. Soon after finishing the show, the beloved maknae of Produce 101 joined the talented band The East Light, which has an average age of 16.6 years, but whose members mostly have predebut experience and are skilled in various instruments. Despite the members being so young, the band has a very developed musicality. This contrast is emphasized to a somewhat humorous extent in their most recent comeback with “Real Man,” their third digital single, in which they dress in cool-looking suits, until their high-pitched and unbroken voices emerge. They have a charm that is definitely unique in the K-pop industry, and is a band worth looking out for, especially since Lee Woojin, who has shown his vocal prowess among his hyungs on Produce 101, has now joined the band as a keyboardist and vocalist. Rounding out the list is Yoo Hwe Seung. He gained much attention on the show for his vocal ability, and though he finished in 39th place, he was quickly added to FNC band N.Flying, who had made their debut in 2013. Despite being the maknae of the group, both in terms of age and experience, he quickly took center stage with his vocals and has definitely added a lot of colour to the group. Their most recent comeback, “Hot Potato,” is an addictive track reminiscent of the music of their sunbaes, FT.Island and CNBLUE, but filled with the group’s own playful flavour. Hwe Seung also created a stir with his ‘five high notes’ (rivalling those of IU’s famous three notes in “Good Day”) which he displayed through his recent collaboration with FT Island vocalist Lee Hongki, “Still Love You.” While the song is a typical ballad, and both singers gave amazing performances, Hwe Seung’s moment was the true climax and left goosebumps all over. While the contestants have mostly went their separate ways, they are all making waves in the industry and will continue to do so for a long while. Have you been keeping up with the Produce 101 boys? What do you think of the impact they have made on the K-pop scene? Share your thoughts in the comment section below and be sure to subscribe to the site and follow us on Facebook, Twitter, Instagram, and Tumblr to keep up with all of our posts. After a year and a half of no official releases, soloist Anda returns with the help of superstar producer Primary. They have released a four song EP, the ominously titled Do Worry Be Happy, with each song getting a music video. Known for her controversial portrayal of lesbians in her video for “Touch” and for charming Middle Eastern billionaires without ever meeting them, Anda is an artist of unique sound and visuals. Her height and distinct facial structure help her to stand out from most Korean female soloists. Her music up to now has been stuck somewhere between pop and indie though leaving her with no distinct audience. Working with Primary is a great idea then as whatever you may think of him, he is probably the most successful producer at bringing indie sounds into the mainstream. Luckily, he’s matched his best style (the British indie inspired 2 album sound) with the compelling Anda. Sounding like a more laboured version of something off of the Drive soundtrack, Primary and Anda open with “The Open Boat.” Featuring colde, the vocalist from R&B duo offonoff, “The open boat” is lumbering melancholic electro pop. The constant rolling synths are almost suffocating, their deep tones recalling vast oceans of nothingness. They restrain Anda, her trademark whispery style of singing tries to call out. She tries to scrape it back by pitching higher. “Touch the sky” she repeats in the chorus, her voice now more ephemeral. As the song grows she seems to be winning the fight, colde helps her break free, “Don’t stop and push forward.” Yet it is overwhelmingly cold. Together they have arrived at some sort of peace but musically not much has changed. The brisk synths continue, they have become a home for the intrepid pair but we remain locked outside. Following this is “Zeppelin,” a song that works with Primary’s funk roots to move away from the wintery tone. “Zeppelin” is about how Anda gets out of her previous rut from “The open boat.” Her love takes her higher and higher. It’s not drastic though, it comfortably floats atop funky guitars and wavy ‘80s synths. Anda’s vocal is more childish here, and is really the only thing of interest going on. While she is distinct, it would be hard to call her voice actually good. She seems to be connecting with the wispy nostalgia of the track but not making it believable. Without hitting those feelings she would at least need to bring something strong which she can’t. “Zeppelin” should have felt fresh against the oppressiveness of “The open boat,” but it’s a mere respite rather than refresher. The duo find their feet directly after, though, on lead single “Dressroom.” It picks up where “The open boat” left off with sombre electro pop. It immediately recalls Primary’s work on Uhm Jung Hwa’s “Ending Credit” but a little less clear. There’s a lot more space and reverb to the track. Anda, like Uhm Jung Hwa, is coming to the end of a part of her life. Where Jung Hwa is nostalgic, Anda is bitter. Her voice is vulnerable, she reverts to shouting instead of singing in the chorus. Trying to find a way out she bellows into the ether, “I broke down but I still couldn’t let you go.” It’s beautifully performed vulnerability. Anda never feels out of control, just conscious of her pain and finding ways of healing it. She has the same control in the video. She looks like she was born to be a model. Her body is being watched closely, she doesn’t take pleasure in it but doesn’t look uncomfortable either. She takes off her oversized jacket and keeps her composure. Bearing her own scars so we can forget our own. Album closer “Moonlight” (featuring electro soloist Xin Seha) documents the effects that these troubles have on Anda. Primary keeps the mood down but plays with the track a bit more. The beat is alive this time, a constant stream of cymbals add the subconscious texture that causes Anda’s insomnia. “It’s not the coffee you drank in the afternoon,” she struggles to get out at the beginning. Primary uses Jai Paul-like details to give the song a sense of mystery. The bubbling bassy synths and warm guitar suggest strange feelings swirling around Anda and guest Xin Seha. Together they try in vain to understand but eventually decide “I will not sleep.” A resignation to the hypnotic beat. This unlikely pair have created an album drenched in sensitivity by coming together. Anda and Primary seem like a mismatch given the producer’s usual clientele of the best vocalists and rappers Korea has to offer. Anda pulls him down to emotional depths he had never explored prior to this, though. Her voice is so light usually, almost always a whisper, and when strained to these heights it carries so much hurt. It doesn’t break but bends against the cold electronics of Primary’s music. Sometimes it’s too cold and sometimes it’s too slight. When it hits though, everything connects for a stunning look at a disaffected youth. What do you think of Primary and Anda’s Do Worry Be Happy? Let us know in the comment section below. Be sure to subscribe to the site and follow us on Facebook, Twitter, Instagram, and Tumblr to keep up with all of our posts. Primary & Anda's "Do Worry Be Happy"
Finally after a year and five months, the very last LOONA girl, Olivia Hye, was revealed. It’s a testament to the time and effort put into the project that so many people were eagerly anticipating this moment and the moments still to come. LOONA has given us probably the most interesting debut roll out in K-pop (all music?) history, considering that twelve girls were rolled out over that year and a half through twelve solo singles, 4 sub-unit singles (with more to come), and countless fan theories about what it all meant. To look back on this all before the last unit finish out the debut project we ranked the twelve solo singles. Hyunjin has the undesirable position of starting us off with her solo track “Around You.” Produced by Lee Juhyung of Monotree, “Around You” is by no means a bad song. Its reverberating piano refrain is in fact a gorgeously simple riff to build a song around. It is helped along the way by some more crisp stabs of the keys and glances of guitar details. Structurally the track falters though. By moving towards a more conventional chorus and adding more parts “Around You” loses the fragility of its opening. That frailty worked wonders with Hyunjin’s equally weak voice as she sang of her foolish patience, and if it had remained small and instead gone for a big change at the climax it could have held onto that power longer. This begs the question though, could Hyunjin have even been able to pull that off? I guess we’ll find out with LOONA’s debut. Choerry is the member of LOONA who exists on all sides of the Mobius. To the uninitiated that just means she can interact with any of the other members right now. She’s also one of the most energetic of them all and musically both of these traits are very clear in “Love Cherry Motion.” Her bubbliness comes through right from the beginning and makes the song as fresh as it should sound for the summer. Its pre-chorus delves into deep bass EDM territory and finally culminates with Middle-Eastern style synths to change things around. Switching genres on a whim is an overdone staple in K-pop at this stage and “Love Cherry Motion” feels like LOONA was pandering to that. Without her story, the song would be just another version of that. Producers Ollipop, Hayley Aitken, and Kanata Okajima do handle it well though. They let the darker sound take over for the bridge before transitioning back into the softer side with an ease they seemingly wanted to avoid at first. They tell the story of Choerry’s flexibility in the story of LOONA but also how it feels for a young girl to fall in love. 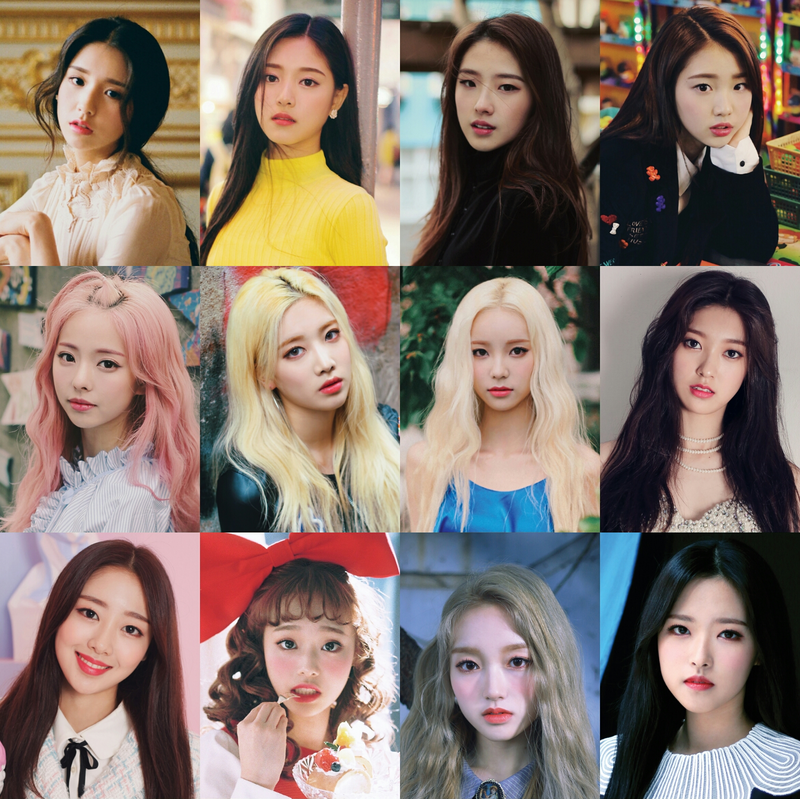 The last few girls of the LOONA project were unlucky in that they had to live up to increasingly high expectations. It’s a somewhat unfair prospect given that the solo songs as a whole are meant more as calling cards for the particular members rather than singles built to chart. Go Won’s “One and Only” is, like her, slight and mysterious. Produced by Darren “Baby Dee Beats” Smith, “One and Only” is shimmering but simple synth pop. Go Won delivers an equally simple vocal in variety of ways amid the synths and processed drums. She half-chants half-raps her wonderful feelings of self-love brought on by the moonlight, raising her pitch with each line, mimicking the ascending synth; Go Won’s self-love is simple but comes from hard, repetitious work. But, apart from the bridge, “One and Only” undergoes essentially zero structural changes. It is straightforward to a fault, the song doesn’t really have to go anywhere, but that’s because Go Won doesn’t either. She is happy being her one and only. Kim Lip changed it all. From the opening chords of “Eclipse” and Lip’s more mature voice, it was clear LOONA were starting off on a new path. “Eclipse” grows with impassioned ease, building an eclectic bed of sounds through which Lip can sing between. Even from just the music video she was by far the most natural performer, blatantly a girl the group could be built around. Produced by Daniel “Obi” Klein and Charli Taft, “Eclipse” was a new style for LOONA with a silky variety of synths. The bridge is a moment to savour, fingersnaps and gorgeous vocals slowing things down to reveal the depth of what Kim Lip can do. Over time however, “Eclipse” grew somewhat tired. It feels too busy in comparison to LOONA’s more simple moments and not busy enough compared to what the ODD EYE CIRCLE girls would do after her. Its impact came from its surprise factor but couldn’t hold attention much longer after that. Closing out the solo cycle of LOONA was Olivia Hye and her song “Egoist.” Olivia enlisted Jinsoul to feature as well as taking on her future bass sound. “Egoist” is a less volatile and unfortunately less interesting take on what Jinsoul previously displayed, though. The production, by Artronic Waves, LAB301, and Pablo Groove, is filled with great and varying details, from the repurposed whistles to the always growing percussions. Olivia can’t quite match the song for personality though. She is at first cold, and from among bassy moody synths and piano she sings of a broken relationship. She’s hiding her feelings, and in their place she only shows pain. As the song moves forwards, stronger more expressive synths take over from the piano. They lift Olivia not to express her emotions but forget them. She learns to love herself but unconvincingly so, leaving the song a bit lacking. LOONA’s sole Chinese member Vivi faced a similar challenge as Hyunjin, failing to make her song strong enough to stand alone despite her weak voice. For this, the LOONA team went for a throwback vibe. On “Everyday I Love You” Vivi reveals her feelings through hushed, breathy vocals over some quintessential 90s beats, while synths shimmer as a guitar nervously plucks out an accompaniment. Everything comes together for an exciting chorus. In the absolute highlight of the track, the aforementioned guitar slides to introduce the chorus, it’s a cliched technique at this stage but that is precisely why it works so well. Horns join as Vivi pushes her small voice to high pitched delights. It’s one of the most simple but fun moments in all of LOONA’s discography. LOONA began as they meant to go on, with Heejin and Monotree releasing “Vivid.” As an opener it is odd but no less polished than everything that followed it. “Vivid” is a brash confident offering from Heejin. Her voice goes up and down with ease, as she inflects her words with a cheeky rasp over filtered brass and piano. Her ease as a vocalist and acting in the video were a clear warning that these girls were here for serious business. At first watch I thought she was a new soloist, completely ready to take on the likes of Lim Kim with a more youthful quirky take. But even knowing that she is only one small part of an unknown whole doesn’t change how good this was though. Vocally none of the girls quite matched Chuu in terms of personality on their solo tracks. She teases us at first, leaving small breaths between each line as she gradually rises to the chorus. As soon as she reaches it though, she drops the intensity only to rise it towards the end once again. From there she doesn’t have a chance to breathe, showing some of the biggest vocals LOONA has seen, with raps and adorable little “ooh oohs” for added color.” Ollipop and Hayley Aitken return to the LOONAverse to once again bridge gaps between the girls. Here they bring back the orchestral elements of LOONA ⅓ but don’t shy away from more modern beats and details. They weave a variety of horns, pianos, and synths around Chuu’s voice, constantly challenging her to one up herself. She matches them step for step and they come together brilliantly on the climax, letting go of any restraints that might have been holding them back. Yves bit the apple and led LOONA out of Eden with her solo track, “New.” Similar to Kim Lip she opened her era with supreme confidence, showcasing strong vocals and dancing as she easily performs to the retro stylings of Brooke Toia, Daniel Caeser, and Ludwing Lindell; it’s 80s synth pop through a modern lens. The production is deceptively simple, with just synths, a beat, and Yves’ voice. In the first verse, the beat doesn’t fully reveal itself at first, starting with just finger snaps and a bass drum but in the second one, an ascending high hat is added, slowly rising to the chorus. Those same few elements are used in the chorus and to great dramatic effect: the synths are heavy and satisfying, and Yves’ vocals airy but totally under her control. This magnificent drama tells a story of self-confidence, a tale that Yves acts out with such sincerity. Behind the languid chorus of “Singing in the Rain” lies LOONA’s most complex song to date. Jinsoul’s luscious future-bass track (produced by Caesar & Loui) juggles a number of sections, all of which come together in the end to crushing effect. It opens with the most exciting and varied drum beat I’ve heard in years, and slowly rises and falls. The complexity is helped by her vocal range, as she was the first one to rap and sing in her song giving “Singing In The Rain” an edge when it comes to the second verse. A different pre-chorus is also added for the second chorus, lending the song a surprising, driving intent. It’s essentially a series of overlapping and intersecting circles, growing in intensity with every new one added. The track culminates with the genuine Hollywood euphoria Jinsoul had been looking for. “I used to be untouchable and dangerous” she sings, suggesting a wicked unpredictability to her. No track was helped more by Monotree and LOONA’s dedication to using real instruments and orchestras than “Kiss Later”. Yeojin’s solo is a Broadway musical-inspired pop explosion that really fits the young girl’s voice. It starts off with a soft, shimmering melody, and Yeojin uses her tinny vocals to great effect before the song crashes into a frenzy of strings, horns, and percussion. It’s such a satisfying pay-off, and lends the rest of the song an unwavering kinetic energy. The music blends masterfully with Yeojin’s voice as she likes to talk-sing at times, even as she playfully follows the pointed details of the track with great strong syllables. As the youngest member of LOONA, her anxieties are rendered almost like a game. She understands that there are adult concepts at play and can avoid them, but doesn’t, and still has the most fun out of anyone. There hasn’t been a song in the last few years that quite matches “Kiss Later” for fun on every level. Ending LOONA’s first year was Haseul, with her soft voice whispering confusion of her identity on “Let Me In.” The song is the key to understanding the first five girls of LOONA, a track that rejects common pop rules in favour of building a unique world. Written and Produced by 오레오 [Oreo] and arranged by 웅 킴 [Oong Kim] “Let me in” is a purely orchestral song with no regular beat or modern instruments. Among this Haseul restrains herself at first. Her voice, pitched beautifully high, tells of a love so strong she feels like she is becoming one with her lover. These joyous feelings are highlighted by stunning musical details, including the tweets of a piccolo, delicate pulls of a harp, and, most of all, the strings that constantly change. It builds a sense of history made believable thanks to Haseul tiptoeing right up to her range; her voice is strong but vulnerable. Overall, Haseul and “Let Me In” define the identity struggle that the whole LOONA project was about. On the cusp of womanhood, these girls felt the push and pull of various paths and this song contains the dangers and joys of all those paths. How would you rank all of LOONA’s solo singles? Let us know in the comment section below. Be sure to subscribe to the site and follow us on Facebook, Twitter, Instagram, and Tumblr to keep up with all of our posts. WJSN/Cosmic Girls had a pretty disappointing 2017. After releasing the best song of their short careers “Secret” along with an otherworldly concept to match their name, they turned to something more simple; “I Wish” had elements of the girl group’s concept in the music video but none in the music, and “Happy” was a complete 180 turn. Sticking to concepts isn’t something that groups should always do, and it is in fact often discouraged. 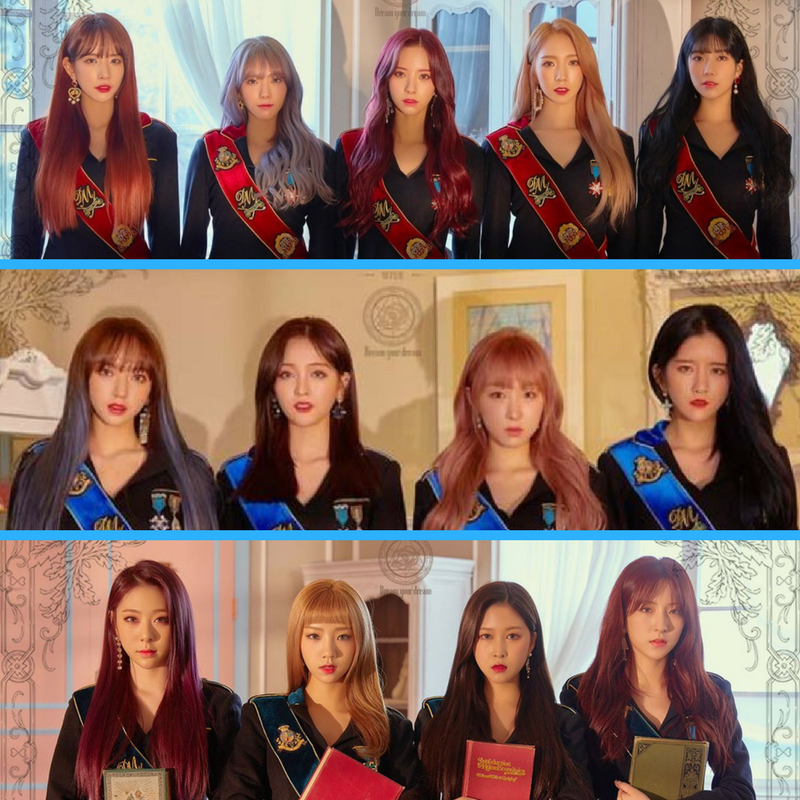 But WJSN’s was perfectly pitched with “Secret.” So it’s no surprise then that they see a return to that style with their new single “Dreams Come True,” a strong return to form. Even though it comes months later, “Dreams Come True” feels like a direct sequel to “Secret.” This time helmed by producers Full8loom, WJSN bring their unique vocal flavour to a mix of europop synths and orchestral pop. Full8loom do a good job of replicating e.one’s style on “Secret,” combining electronics and an orchestra to create WJSN’s cosmic sound. The synths give it the classic sci-fi feeling while the orchestral elements sends it into the stratosphere. It is clearly not a rehash though. “Secret” was decisive, an almost complete song right from the beginning. “Dreams Come True” takes more time to reveal itself. “Secret” would swap between its synths and strings within a section whereas “Dreams Come True” devotes whole sections to a particular sound, slowly adding elements to prepare for the climax. “Secret” was a song about hidden feelings, the anxiety of simultaneously falling for someone and barely knowing who they are while “Dreams Come True” is about bridging that gap, a song about gradually building the courage to give yourself to someone. Dawon takes advantage of the diminutive Xuan Yi to bring the power and lift the song as only she can. She represents the bubbling confidence of WJSN as she bellows, “It’ll become a miracle, It’ll pull us together, It’ll make our dreams come true so…” This line has its own weird internal rhythm. Dawon is fitting as much as she can into the bar, ignoring usual resting spots. Whether or not she is ready to believe what she’s saying, she knows she doesn’t have a choice but to trust it. From there the chorus hits,at first with a thud and then grows as it goes on. It’s given time to breathe and slowly differentiate itself from the verse, andit finally ends with the opening signature synth which even Cheng Xiao can ride with ease into outer space. Exy’s rap represents the biggest vocal shift of the song and the music follows her. Holding on to the electro tone of the chorus, it shifts into dubstep as Exy slows things down and opens with the ominous line, “I am in the dark.” Her rapping is nicely crisp but gets slightly more emotional as it goes on, increasing in tempo as she starts to move out of the dark. Finding courage, the beat intensifies and continually adds drum fills that changes the second verse. The bridge’s stunning quiet moment is the highlight. It has time for four of the girls to sing variations of the same scale, while the track reduces itself to just strings, a few keys, and some beautiful harmonies. It’s a stunning moment of clarity and tension, as if the whole song was leading to this point rather than the actual climax. It contextualizes the cosmic dramas of their lives in terms of their lover’s dreams. “You and me to be drawn as a dream, it will be done as you dream,” they repeat, finding the hope of their love in the short moment of peaceful stillness among the shifting scales of the track. “Dreams Come True” continues one of the better visual collaborations in K-pop as Kim Zi Yong and Fantazy Lab return to direct the music video. It is definitely a sequel to “Secret” as we see some references from it including the book with the iconic phrase, “Have you ever felt cosmo inside of you?” In “Dreams Come True” the girls are separated by space and time and are faced with the threat of a giant wormhole opening up over Seoul. There seems to be human versions of themselves that inhabit Seoul and the cosmic versions who are in a heaven type area who stay connected via phones. They work together to call down Bona from her flying space bed, and she flies straight into the wormhole, destroying it. This is all communicated much more elegantly in the video by Kim. No one is better at connecting the real and imaginary worlds with special effects than he is. He uses a large amount of smaller moments to build his world. Each image has very simple fantasy elements executed perfectly, but this formula is slightly tired at this stage. Compared to “Secret” it’s not much better or worse but doesn’t have the same surprise factor. It also has an unnecessary and ugly bluish colour grade. If they had gone for something closer to the wizarding world of the teasers, there could have been a lot of room to try new things. Kim Zi Yong’s aesthetic has worked well in a number of concepts and would have been unique enough to separate itself from obvious potential Harry Potter comparisons. WJSN’s return to the cosmos has turned out to be as appropriately dramatic as can be though “Dreams Come True” lacks the dense, unique production of “Secret” that lends it its immediate qualities. Structurally though, “Dreams Come True” betters “Secret.” It produces an epic scale from disparate parts coming together and finally disappearing so the girls can dream clearly. What do you think of WJSN’s single “Dreams Come True”? Share your thoughts in the comment section below and be sure to subscribe to the site and follow us on Facebook, Twitter, Instagram, and Tumblr to keep up with all of our posts. Ever since the conclusion of JYP Entertainment’s survival reality program Stray Kids, where the nine members of the group took part in various challenges set by the company to prove that they were able to debut as a whole group, the victorious (and complete!) group was busy with promotions for their pre-debut EP, Mixtape, which featured the group’s tracks that were mostly performed during the program. Following its release, Mixtape proved to be a fan favorite and topped charts in the States, and also proved to encompass the essence of what is unique about this group and, by extension, showcased the new direction that JYP Entertainment is taking in debuting this group. All the seven tracks on the EP were composed in some way by the members of Stray Kids, be it in lyric-writing, songwriting or arranging. In particular, the members of “3RACHA,” a previously established trio within Stray Kids consisting of leader Bang Chan and rappers Han Jisung and Seo Changbin, wrote the lyrics for all the songs and took part in the music composition for six of them. The ownership and individuality shown here is rare in the K-pop industry, considering this is a group who has yet to officially debut. It is even more surprising considering JYP’s usual management of their groups. With the exception of rock band DAY6, whose debut EP was also composed of songs created by the members, JYP’s boy groups mostly started out with EPs and title tracks composed by Park Jinyoung himself (i.e GOT7’s “Girls Girls Girls” and 2PM’s “10 Out of 10”). The members of these groups eventually went on to create their own music for their later albums and title tracks (i.e Jun K’s “Go Crazy,” JB’s “You Are”) after a few years, which is a common practice in the industry. Stray Kids releasing Mixtape could thus be an indication of a shift in JYP Entertainment’s priorities for their new groups: no longer are they optimizing safe and polished debut performances but instead highlighting releases that showcase more musicality and creative freedom. Perhaps this is to align with the current trend of self-composed music in the industry but whatever it is, it is definitely paying off for Stray Kids. The exceptional composing skills of the members, especially the members of 3RACHA, were constantly displayed throughout the program, an instance being their rap face-off with YG Entertainment trainees, where Changbin and Jisung wowed with their original track “Matryoshka” (from their third mixtape, Horizon). Since last January, the trio have been releasing their original tracks through SoundCloud and YouTube, with a total of three mixtapes out at the moment. The exposure they received as trainees does explain their prowess now especially for long-time trainee Bang Chan, who has so-far single-handedly done the producing and mixing for most of 3RACHA’s tracks, with Changbin and Jisung contributing to the lyrics. The trio’s experience shows in their works, and really helped the entire boy group establish a very unique musical identity right off the bat. With the music video of “Hellevator,” the title track of “Mixtape,” racking up millions of views on YouTube before the reality show even premiered, anticipation was high for Stray Kids thanks to this intense song which highlighted the various strengths of the members, in particular their synchronized dancing. The group continued to impress with their music through the missions on the show, where they took on challenges such as performing at a live broadcast and busking on the streets. While the group as a whole is definitely still a rookie one, especially with regard to the vocal areas, Stray Kids has proven that they can (and do) distinguish themselves from other rookie boy bands, not just musically but with their fresh personalities as well. Often displaying tough and charismatic images on stage, they played up their youthful charms on the show once off stage and even now on the occasional V-live broadcasts that they do. With an average age of 20 (youngest member Jeongin is a 2001-er), the members are cute and playful especially when they interact with each other. Speaking of which, the unity of this group is remarkable, despite only being formed a few months before the show. Perhaps this is where Stray Kids differs most from Sixteen, the survival show from which TWICE was created in 2015. In Sixteen, the 16 members competed against each other to get into the seven member group (it was later changed to nine members), which naturally created a lot of rivalry among the members. Stray Kids, on the other hand, was promoted and run as a show where the group “fought” with JYP to debut together. Their adorable friendship and dynamic were on display from the start, and got viewers passionately rooting for the group to stay together. The most unique part of this survival show was the lack of competition between the members and the cooperation they displayed. There was very little “fighting for the main part” that often goes on in such shows, and instead, there were so many moments where the more experienced members sacrificed their own practice time to help those who were lagging behind or in danger of elimination. The hard work and effort that the whole group put in to help each other improve led to heart-wrenching and tear-jerking moments for members and fans alike when a few members ended up being eliminated through the course of the show (they were eventually brought back in the final mission), further endearing the group to the viewers. With all the hype and popularity Stray Kids has already gotten so far, their debut is definitely a highly-anticipated one. It still has to be proven if the “free-reign” direction JYP is taking with this group will last in the future, but for now, it’s producing results and I cannot wait to see how far this group will fly from here. Have you been keeping up with Stray Kids? What do you think of the new direction JYP is taking with them? Share your thoughts in the comment section below and be sure to subscribe to the site and follow us on Facebook, Twitter, Instagram, and Tumblr to keep up with all of our posts. Following the resignation of CEO Na Byung Joon under controversial circumstances, Fantagio Entertainment and all its artists’ short term futures were in doubt. Weki Meki were one of those groups and had apparently been preparing a comeback as the news broke. Thankfully things settled down enough for them to bring their follow up to debut mini WEME and divisive single “I Don’t Like Your Girlfriend.” They have done that in the form of Lucky, their second mini album which seems to be going as far from their debut as can be. “I Don’t Like Your Girlfriend” was a song of many contradictions and the album it came on was equally filled with ups and downs. As an album, Lucky is tonally much more coherent and an easier listen. Let’s find out if that’s a good or bad thing. As is common in K-pop minis, Lucky opens with an intro track by the same name. I love K-pop intros. At their best they are abstract representations of the albums that follow it. They don’t have to follow pop rules so tend to be the most unconventional K-pop can be. They can also be like “Lucky,” acting as a slightly remixed and shorter version of the single it precedes. Alongside “La La La” producer Rodnae “Chik” Bell; Hyuk Shin, MRey, and Ashley Alisha (all members of the Joombas Music Group) are the composers here and don’t do much to alter “La La La.” It sounds like they put the harsh processed drums of “I Don’t Like Your Girlfriend” underneath and added heavier bass. As an intro it doesn’t differentiate itself enough from the follow to warrant inclusion. The lead single “La La La” is, unfortunately, similarly derivative of much more interesting songs. In what seems like a response to criticism of their debut, “La La La” has the energy of “I Don’t Like Your Girlfriend” without any of the eccentricities. It replaces the electronics with a variety of guitars and brass in favour of a more traditional pop stomper style. Vocally, it stifles them. The members are restricted to trying more soulful singing and straightforward rapping. On “IDLYG” the girls could just about match the gleeful twists and turns of the track, pulling it into something that works. On “La La La” they do nothing to change the direction of the song. This is best evidenced by the chorus’ lack of movement. Musically it has an almost imperceptible change which could have been fine if the vocals went somewhere. The “laaaaa la la las” and the cheeky rap one liners are nowhere near enough, though. Wherever you lie on the “IDLYG” scale, this is a major disappointment as the highly anticipated successor. Luckily though, Weki Meki may soon become the queens of b-sides if their albums continue work like this. “Iron Boy,” produced by the Full8loom team, is the third track and a delectable slice of 80s style electro pop. Like all great retro tracks the key to success is a juicy bass line. On “Iron Boy” it gets things going alongside Doyeon’s slight but sultry voice. From there it blends more physical elements like a guitar with some wonderful synths. Like “La La La,” its structure doesn’t do anything new. But crucially it has musical progression. By the time the chorus comes along there is now spurts of brass and fluctuating synths. There are layers to its production and the members fit it well; Sei and Suyeon’s vocals in particular stand out, as they seem just about caught in the back of their throats in a childish but powerful way. “Metronome” is much more modern. Producers Trippy and Le’mon weave a heavier house riff around the more indifferent vocals of the girls. A piano is used to create some sense of emotion in contrast to the bassy synths. It is in a sense monotonous like its title would suggest. The song transitions using the piano parts but does so with such nonchalance that it suggests that Weki Meki feel that thin line between dancing and emoting. Full8loom return for the final two tracks “Colour Me” and Butterfly, both of which continue the retro theme. “Colour Me” is very much in the Bruno Mars mold of nostalgia. Disco synths and funk beats meet to create a super comfortable feeling. It gives the girls some room to stretch their vocals, even more than previous songs. In the pre-chorus there are some great harmonies, and the chorus has a variety of strong high pitches and whispers. Lucky is a settler for Weki Meki. Their rocky debut might have slowed their potential ascent thanks to Doyeon and Yoojung’s fame but it also made them distinct. Lucky doesn’t quite have the ballad lows or the “Fantastic” highs of WEME, and honestly suffers for it. Given a stronger single it could have been the perfectly solid mini they needed. Instead it falters right from the beginning and spends the rest of its run time trying to catch up. It is slick from there on in but not quite unique enough to match the Weki Meki we have come to love or hate. Let us know what you think of Weki Meki’s “Lucky” in the comment section below and be sure to subscribe to the site and follow us on Facebook, Twitter, Instagram, and Tumblr to keep up with all of our posts.